Berni here with my last creation for the Dies R Us Inspiration blog! Sad and happy day. Sad to leave a terrific and talented team. Happy to welcome aboard the New Design Team. The Dies R Us on-line store carries a huge assortment of amazing dies by several manufacturers. . 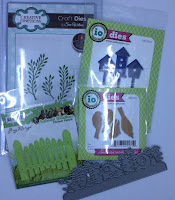 I love birdhouses and I have them on my patio and in my planters. 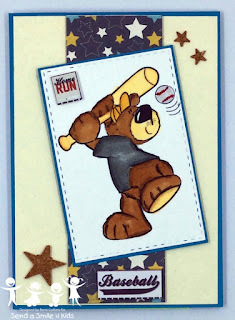 So What is a girl to do, but make a birdhouse card. 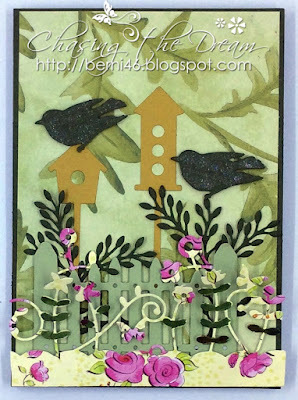 Card base is green cardstock, matted with Penny Black Beau Jardin pattern paper, added the birhouses with the birds on top and along side. 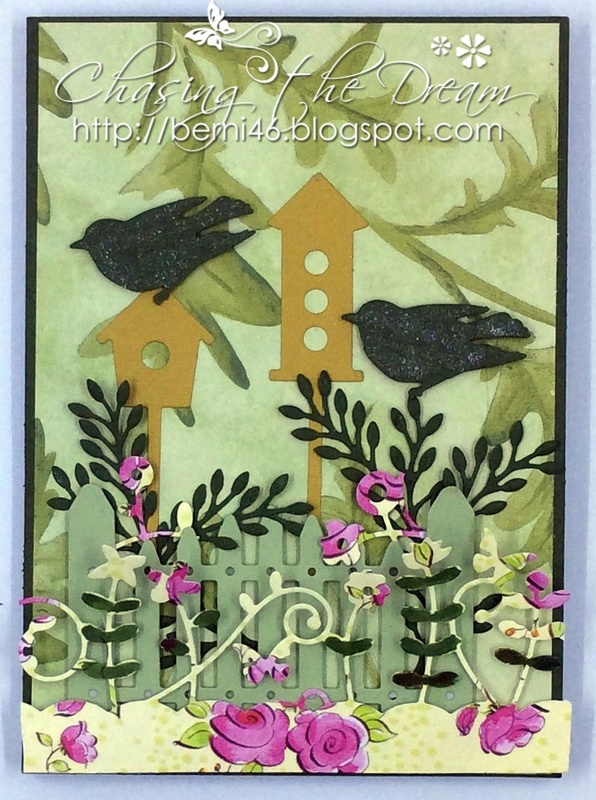 To offset, added border at the bottom of the birdhouses around the fence with leaves coming out of the fence. Some glitter on the birds. 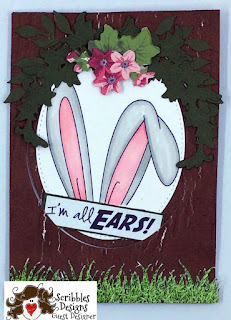 My last entry as Guest Designer over at Scribbles Designs, The image is "Bunny Ears." 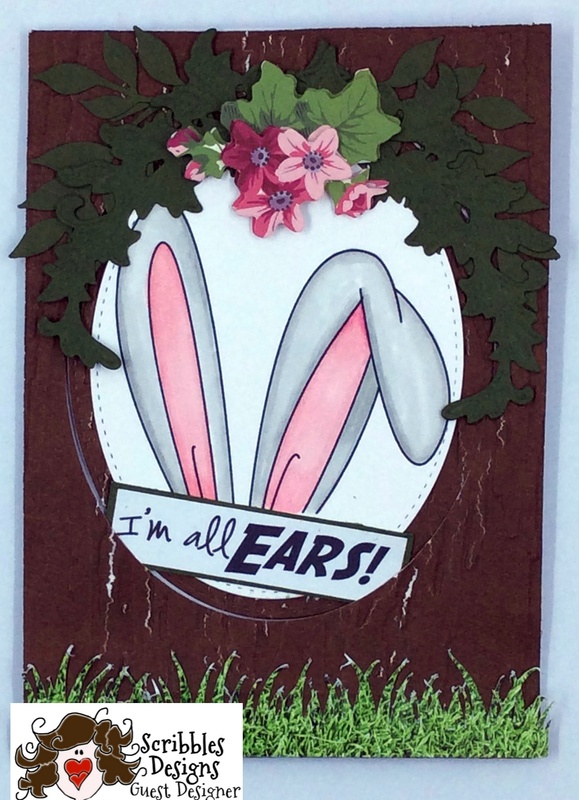 Are you ready for those Easter Cards. So job on over to the Scribble Designs for ideas. I just wanted to have some tulips in purple. 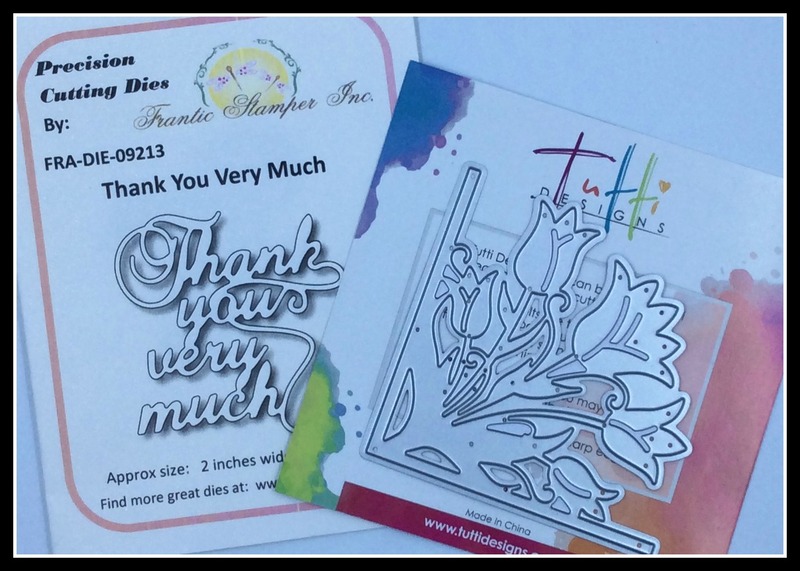 So I pulled out this Tutti Tulip Corner die. 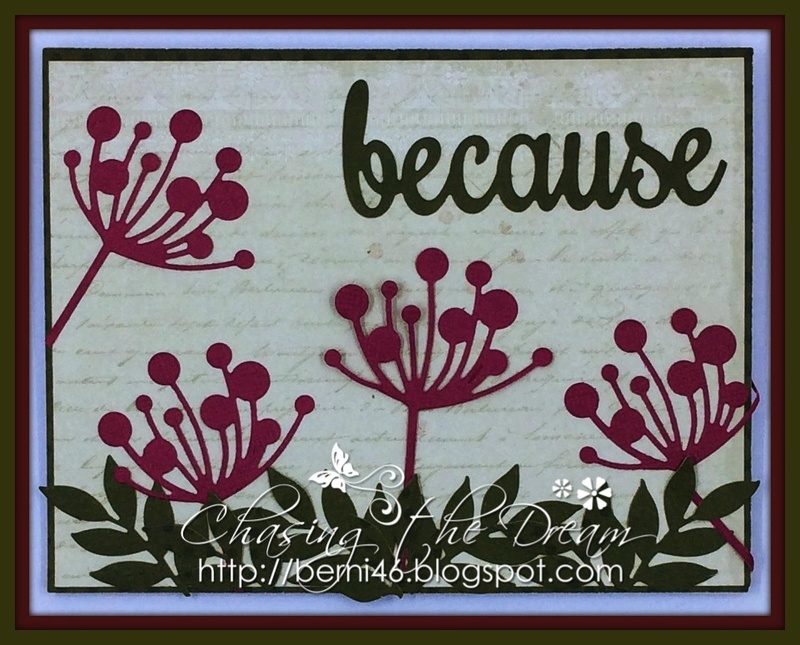 I double cut the die, once in black and then again in purple. I placed the purple on top of the black die for a shadow effect. Added some glitter on the tulips and butterfly. Placed the butterfly in right bottom corner for a little dimension. Added the sentiment in the middle for the focal point. 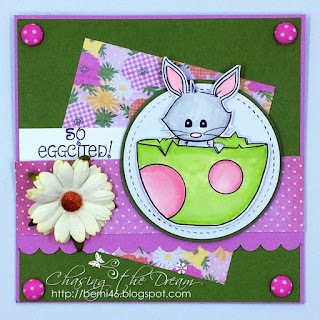 Morning Peeps, Tuesday Throwdown challenge #TT335 is sponsored by Sami Stamps, the image Egg Bunny. The theme "Add Dimension. Morning Peeps, Crafty Creations Challenge #337. Theme is Anything Goes. So get out those pencils, watercolors, etc and join in on the fun. The image Peeker March from Bugaboo, who is the sponsor for this challenge. Spring is coming, so I wanted to start the season off with this Chloe Stem die. I cut the die four times to create array of stems on the card, Laurel Leaves dies at the bottom with a die sentiment. My entry as Guest Designer over at Scribbles Designs, The image is "Pot of Gold." 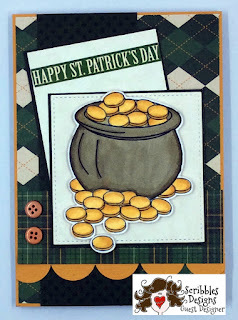 Are you ready for those St. Patrick's Cards. So job on over to the Scribble Designs for ideas. 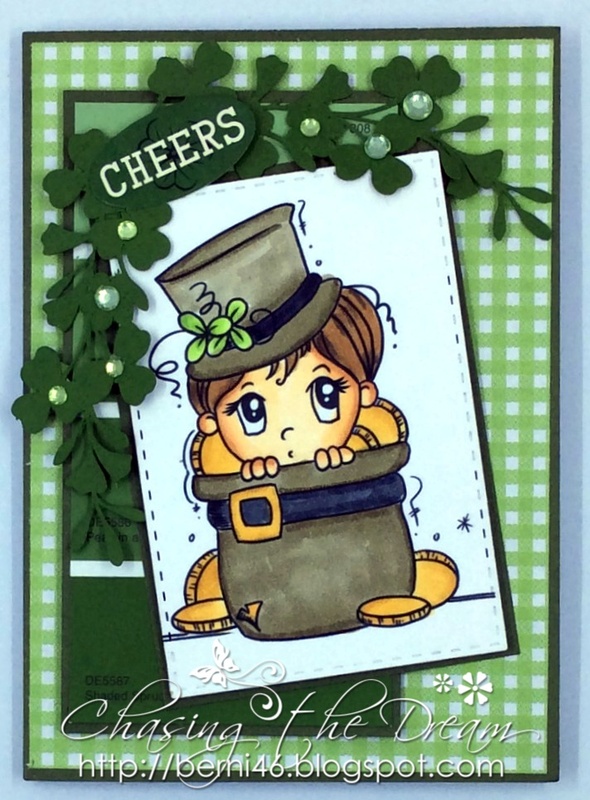 Open Minded Crafting Fun is starting off the New Year different challenges. 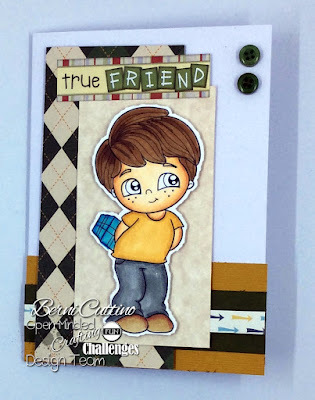 Mar 10 kicks off Challenge #15 theme Dancing/Movement or even movement on your card wobble, etc. See our fabulous sponsor below and join in on the fun. Morning Peeps, Tuesday Throwdown challenge #TT333 is sponsored by Sasayaki Glitter, the image Shy and Froggie. 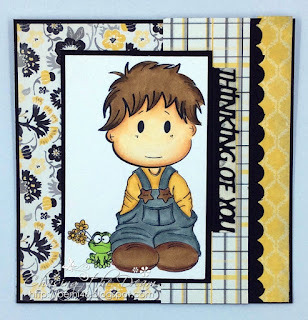 The theme is "Thinking of You. Morning Peeps, Today's challenge is #143 Send A Smile for Kid. 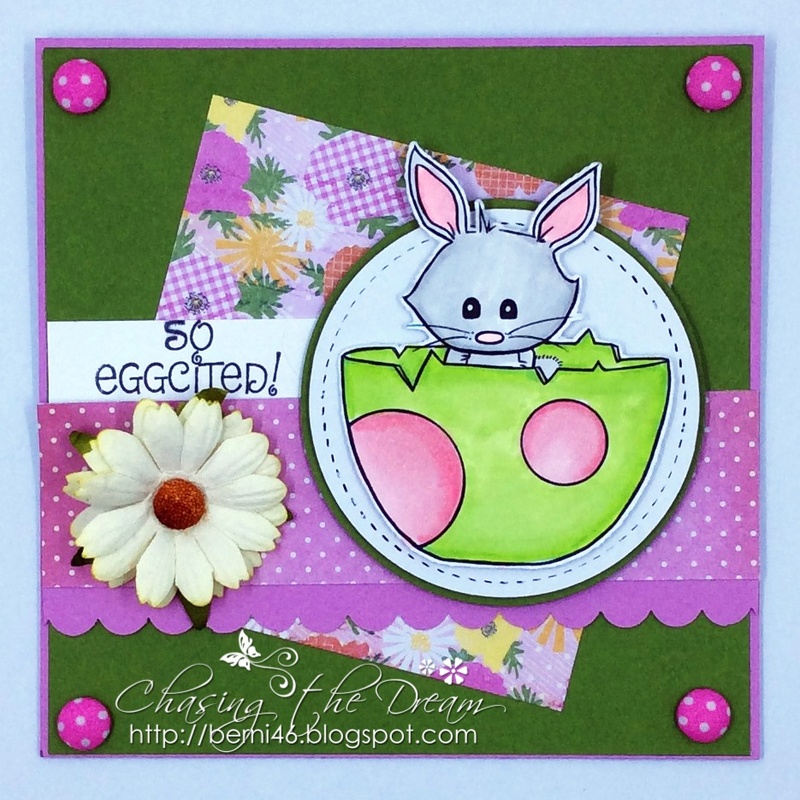 The theme for this challenge is Send a Smile Spring Colors 4 Kids. 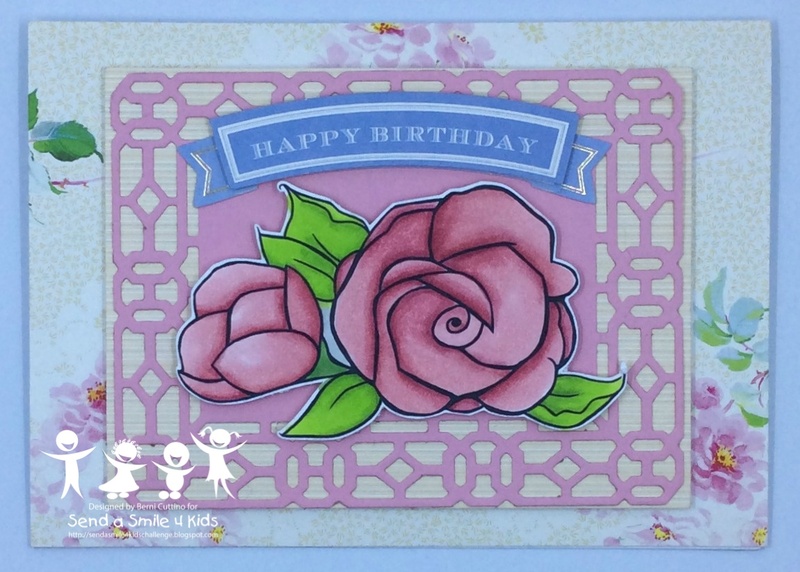 The image is The Rose. 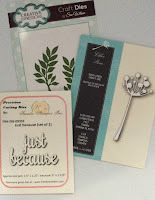 Sponsor: Sami Stamps - winner receives $12 Gift Certificate. 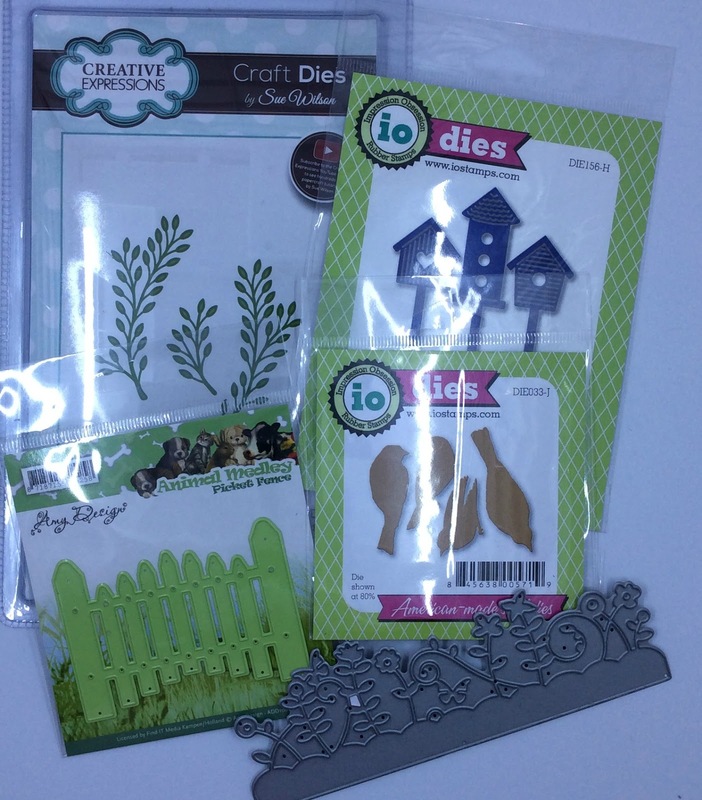 Our second sponsor is Dies R Us prize $15 Gift Certificate. Hello there! Thank you so much for joining us during our special 4th Birthday Celebration this past month. 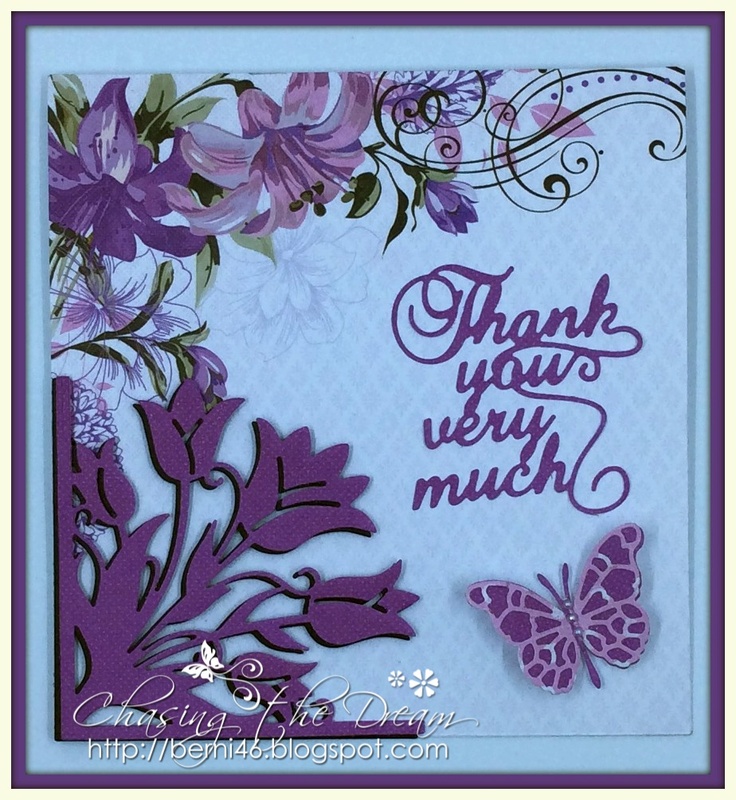 We had 20 people link up and several join in the blog hop! We hope you enjoyed it as much as we did! We have several prizes to give out so let's get things started shall we?! First things first, we are going to take care of our special prizes. 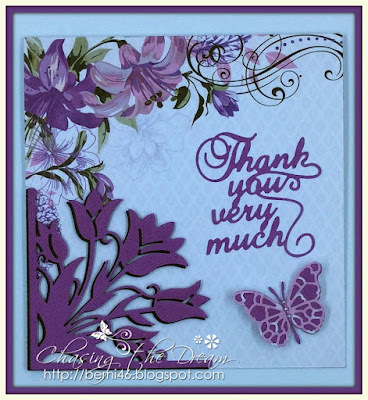 One random commenter chosen on each blog hop post will receive a copy of one of the images or sentiments used on the DT or GDT member's card.